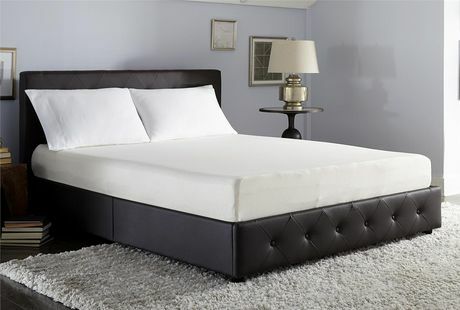 If you have had the luxury of buying a new mattress recently, it is likely that you have a foam mattress. Foam mattresses once were something that most people could not afford, but as the market for them has increased, the prices have dropped considerably. Now the average person can afford to sleep on a comfortable and luxurious foam mattress instead of dealing with those pesky box springs. All these years you have had a regular mattress, so cleaning a foam mattress is probably something foreign to you. No need to fret, though. My tips that will come in handy now, as well as in the future, on how to clean your beloved foam mattress. Spills are inevitable if you eat or drink in your bed, so it is best to have a quick, efficient method for removing them. If your foam mattress has a cover, blot as much of the liquid as possible. Take the cover off and wash it separately in cold water. Use a small amount of mild detergent. Do not use bleach or any product that contains bleach. For best results, allow the cover to air dry. If you do put it in the dryer, use a low, cool setting and check it frequently. There’s no need to pre-treat the cover unless the spill is a result of red wine or another staining liquid. If liquid has been spilled on the foam mattress, you’ll need to remove as much of it as possible as quickly as possible. Take a large, absorbent towel and begin dabbing at the stain. Do not scrub it as this can cause the stain to set. Depending on how much liquid was spilled, keep dabbing at the stain with as many towels as needed to remove all the liquid from the mattress. Allow the foam to air dry. If necessary, place a fan or two in the room and direct them on the damp area. Do not put the mattress cover or the sheets back on the mattress until your foam mattress is completely dry. To remove urine stains or odor from a foam mattress, you’ll need an enzymatic cleaner or distilled white vinegar and baking soda. Enzymatic commercial cleaners work well, but they are very expensive. Vinegar, on the other hand, is inexpensive and it is a natural deodorizer that absorbs odors by breaking down bacteria. Vinegar does not leave any kind of residue, and the smell goes away when it dries. Note that neither is guaranteed to completely remove stains and odors from a foam mattress, and that you should never saturate the area with any liquid, even water. It’s important to be cautious when removing stains because you don’t want to risk pushing the urine further inside the foam. Soak up as much of the urine with clean absorbent cloths. Pour the enzymatic cleaner in a spray bottle or mix a 50% white vinegar and 50% water solution in a spray bottle. Spray a very small amount on the stain and let stand for five minutes. Use clean towels to soak up as much of the remaining liquid as possible. Repeat the process until the odor and stain are gone. Sprinkle baking soda on the stain and let stand overnight. Vacuum to remove the dry baking soda. Set fans up in the room to fully dry the mattress before making the bed. The only cleaning that’s necessary is a simple vacuuming once a month or so. While your foam mattress is less susceptible to dust mites (than a traditional mattress is) dust, hair and dead skin will still accumulate on the mattress. Remove the mattress cover and wash as directed by the manufacturer. There’s no need to flip or turn a foam mattress, but you can do this too, if you’d like. The best way to keep a mattress clean is to use a mattress cover. If you’re reading this before you purchase a foam mattress, I suggest that you go out and buy the mattress cover the manufacturer recommends immediately. If you have children, pets or frequently drink coffee, water or any other beverage in bed, purchase a special water proof protector cover. This will help any time there is a spill or accident as all foam mattress manufacturers advise against ever getting the mattress wet.